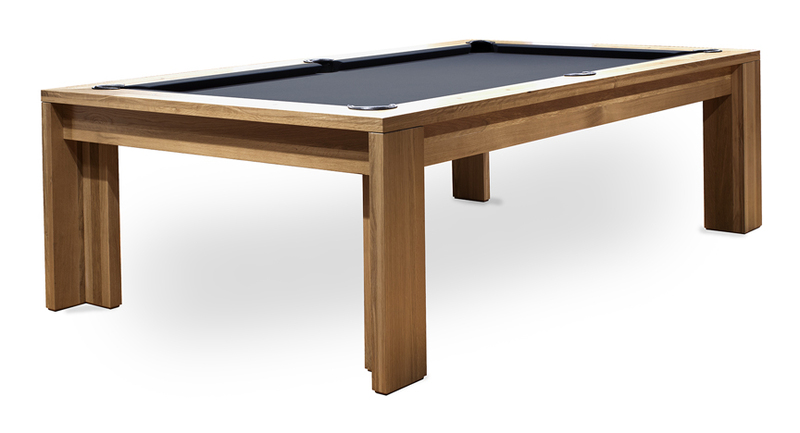 The District pool table features a modern design with precision joinery and clean belt-line, perfect for sophisticated game rooms. 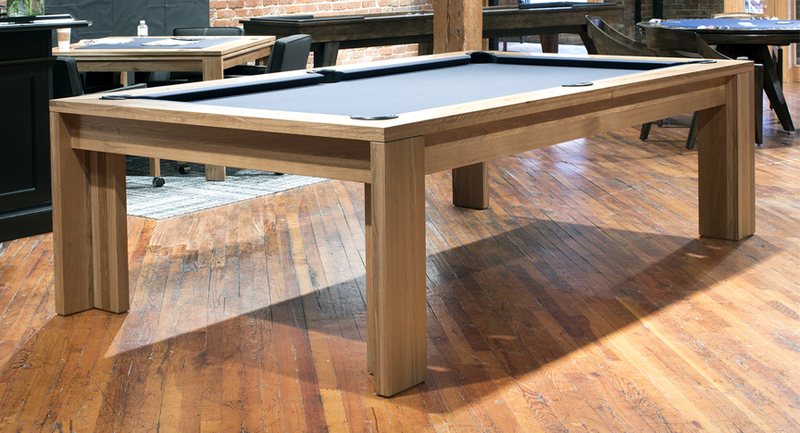 The District pool table lets you customize it by picking from among 30 finishes and 19 felt cloth colors, allowing for an incredible array of individual styles. The multi-step, post-catalyzed lacquer finish gives your table an extremely attractive shine as well as remarkable durability, while the leather pockets add another touch of elegance and refinement. 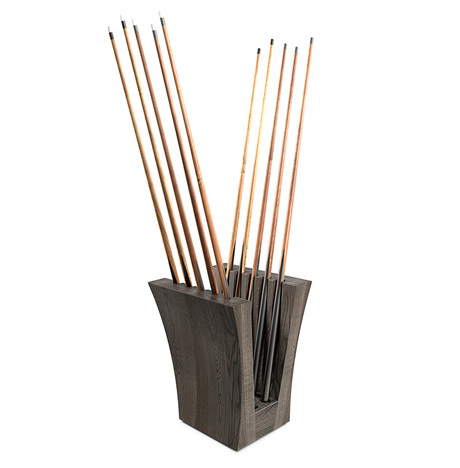 District pool tables are made with 1″ thick diamond honed and backed 3-piece slate as well as fast and accurate K66 profile cushion rubber, ensuring high quality performance, uninterrupted gameplay, and speedy rebounds. 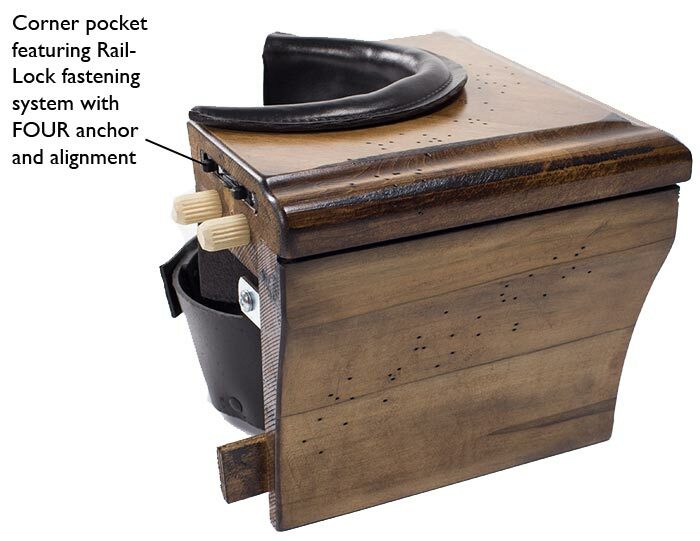 The integrated rail and aprons provide maximum strength to the already sturdy design. The District Pool Table is one of the finest pool tables made today and many of our customers design their billiard room around the clean design. 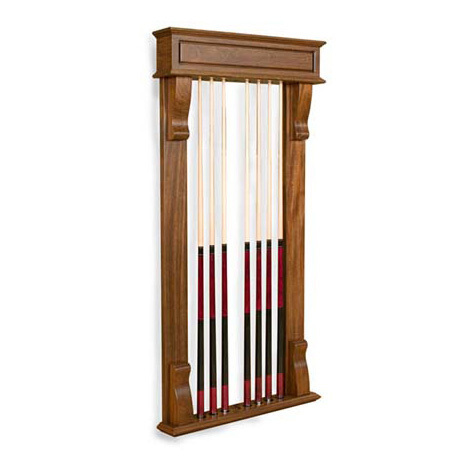 Available in 72, 82, Pro 82, and 92 sizes to fit your room. 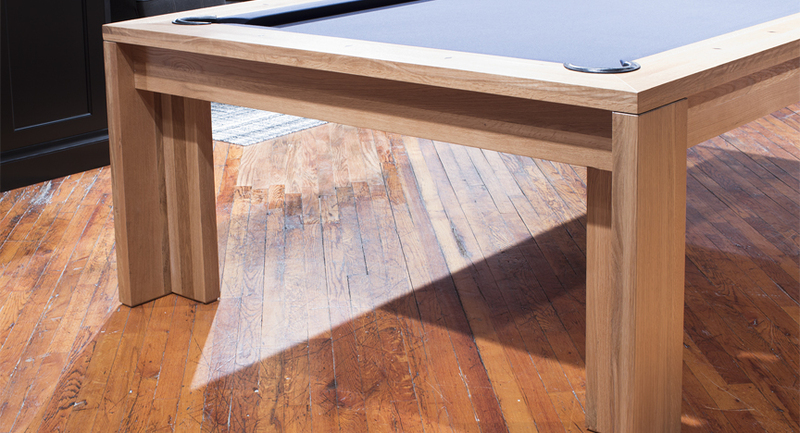 The District Pool Table is an original California House design. 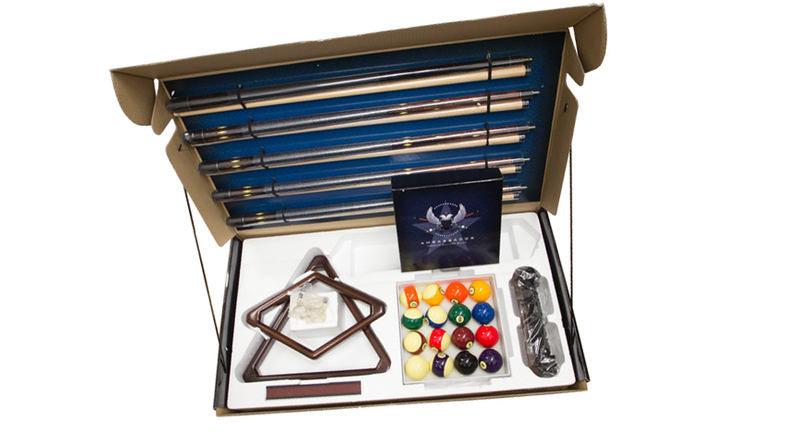 Four two-piece cues, bridge, racks for both straight pool and 9-ball, cloth brush, chalk, and a set of Aramith balls. Massively strong chassis to the base foundation is designed to link the slate directly to the ground for increased strength and performance. 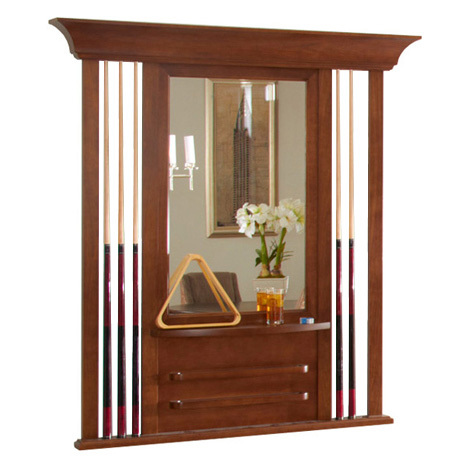 Solid kiln-dried hardwood throughout. No veneers, no particle board. 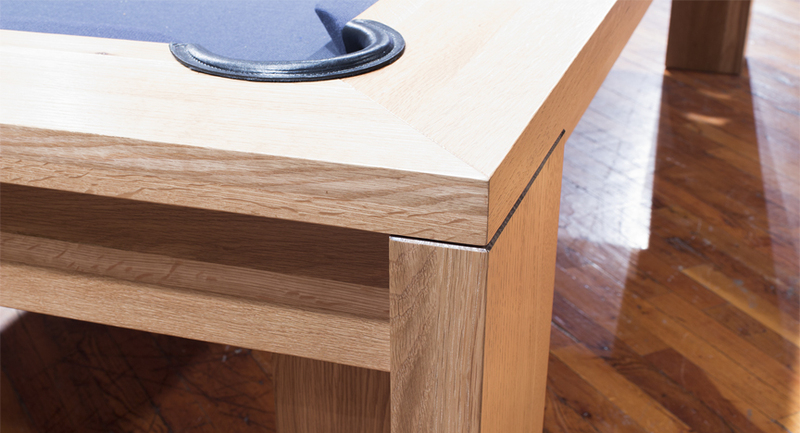 Exclusive Rail-Lock system fastens the top rails, side aprons, and slate together for an incredibly strong table. 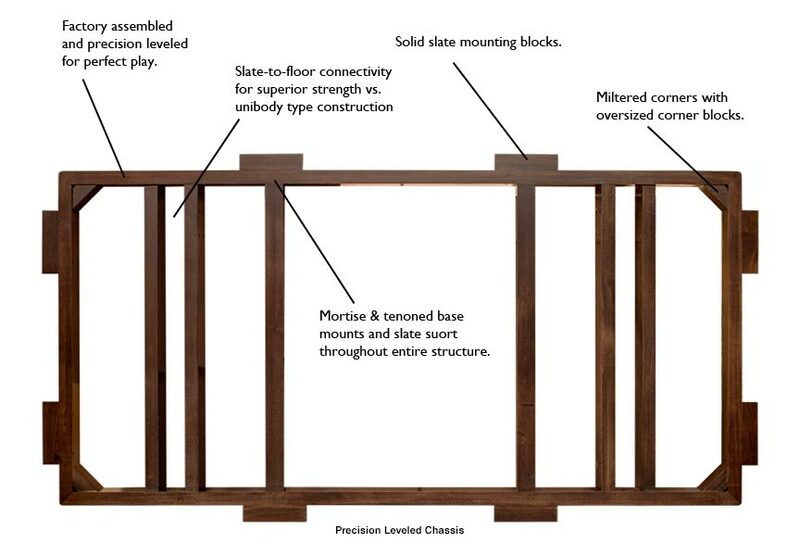 Factory pre-assembled and precision leveled, then carefully disassembled for packaging provides better play over time. 1" thick, 3-piece diamond honed & backed "K" Pattern slate. Premium K66 cushions feature a lifetime warranty and provide a fast game without sacrificing accuracy.